This post is a quick attempt to answer that question. The first thing to consider is where these photographs are taken from. They are from certificates exempting from the dictation test, which were issued to non-white residents of Australia who wanted to return to Australia after travelling overseas. The particular records we have used with Faces so far are from New South Wales. The non-white, non-Aboriginal population of early 20th century Australia was predominantly male. Most of the Chinese, Japanese, Indians and Malays (among others) who came to Australia in the 19th century did so to work and to earn money. Asian women as economic migrants were not unheard of (there were Chinese women who came to the colonies as domestic workers, for example), but generally a combination of economic, social, familial and legal factors meant that a much smaller number of ‘coloured’ women arrived on Australian shores. The Syrian community is a bit of an exception to this, as numbers of men and women were much more balanced. 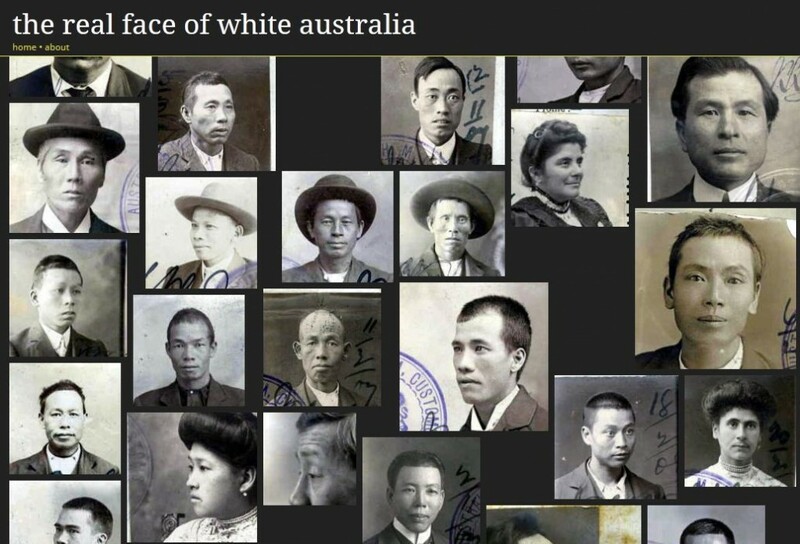 In New South Wales (where the people shown in Faces mostly lived) Chinese, Indians and Syrians were the main non-white population groups. The snapshot below has images of three women: Mary Saleba and Raja Basha, both Syrian, and Mary Hoe, who was Australian-born Chinese. Few of the men shown in Faces were travelling for leisure, as such. They were mostly either returning home to visit relatives (including wives and children), or for business reasons, or a combination of both. 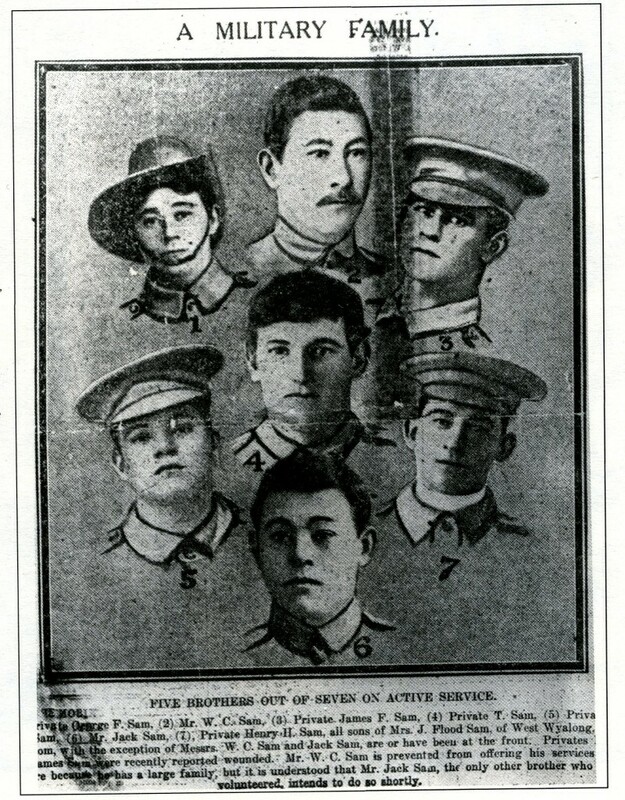 This, combined with the cost and logistics of travel, may have meant that women and families living in Australia did not accompany their men when they travelled. Travelling alongside some of the men whose images appear in Faces, though, were women and children who were not documented in the same way as their husbands and fathers. White wives of Chinese men, for example, who also travelled to Hong Kong and China, were not subjected to the indignities of photographing and handprinting, even though strictly they had become ‘Chinese’ on marriage and had officially lost their status as British subjects (their racial identity trumped their legal one). Often the only record of their travel is a name on a passenger list. 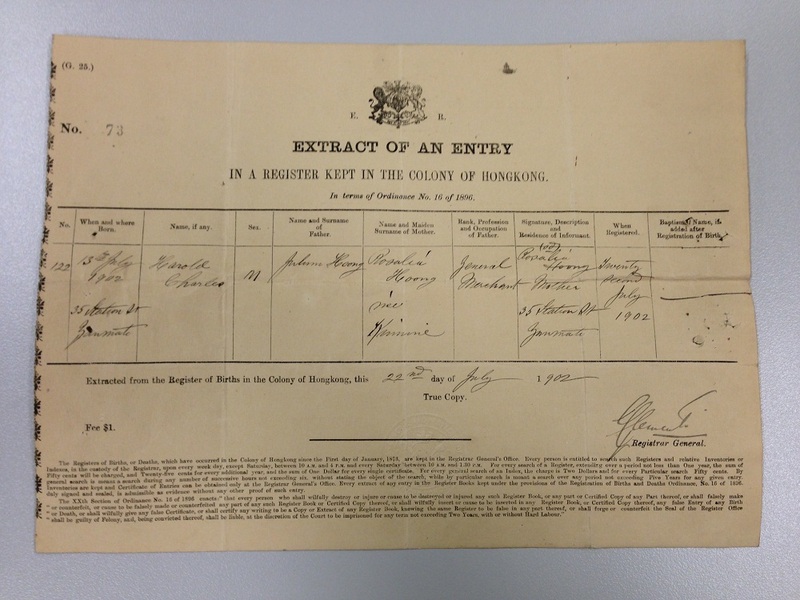 Mixed-race Australians also travelled without being issued a certificate exempting from the dictation test—many Anglo-Chinese Australian women married migrant Chinese men, and accompanied their husbands to China, but they too may have avoided being photographed and handprinted, instead using their Australian birth certificates as proof of identity on their return to Australia. Every time I poke around in series NAA: SP42/1, I find something new and interesting that I hadn’t noticed before. Today’s find is a photograph of the family of Ah Yin (or Ah Yen), who was a storekeeper at Adelong in southern New South Wales, and his wife, Ah Hoo (or Ah How). 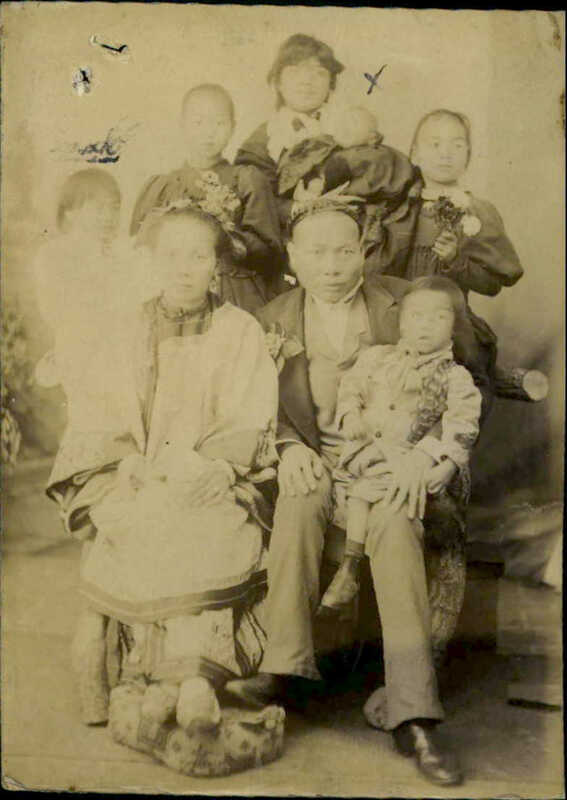 The family, with six children, left for China in 1897. The file NAA: SP42/1, C1916/7308 PART 1 relates to a request for one of the Ah Yin daughters, Sarah (b. 1890), to be permitted to return to Australia in 1910. More on Sarah Ah Yen’s return to Australia from the Sydney Morning Herald, 10 April 1915.